As a spin instructor I guess it only makes sense to have a feature on this great cardio workout. From footwear to music this is where you get the real comprehensive info on this subject. Just completed my two-day spinning® clinic in Central London and like the barefoot running coaching it was a great course for me to do. Until now I had been teaching indoor cycling having qualified with a lesser-known brand. In fact, most instructors that teach indoor cycling are not qualified with the actual Spinning® brand. I am actually happy to have taught a more freestyle version previously as it gave me the opportunity to improve my skills as an instructor. Now I feel I am ready to represent the brand. Now I feel a sense of belonging to a global network using a global language to convey our instructions. Did you know that all the different drills in spinning®, like ‘seated flat’, and ‘sprints on a hill’, have their own symbols? For attendees this is of great benefit because if they come across a Spinning® instructor the language used will be familiar to them so even if there is a substitute the class continuity can be preserved. The spinning programme is a wide and extensive programme. 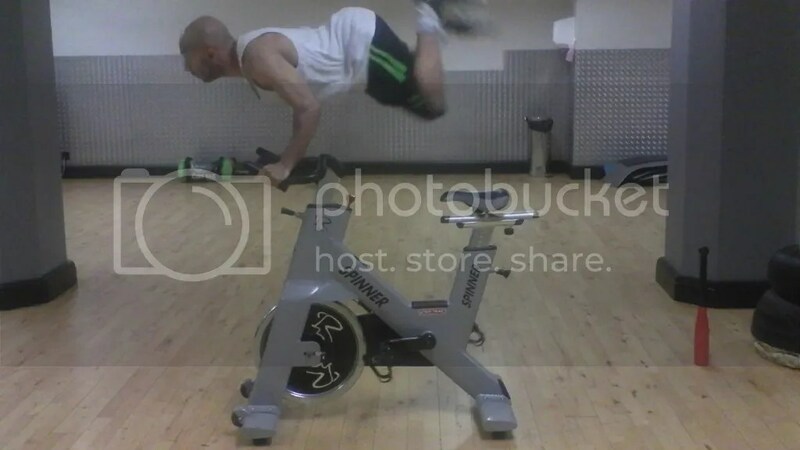 It can be implemented to achieve numerous goals by following the different training methods discussed briefly on their website www.spinning.com. Through this, one can achieve all their fitness goals I believe be they improving fitness or achieving fat loss. A good spinning® bike is about £500 and that really is all you need to get fit with the right instruction. A few little separate sessions of weight training will help and everything is sorted. Only those that wish to bulk-up in muscle mass will need more help in the weights room but just to look lean and toned the spinner is really all you need. I know that is all I would need, I just do the other stuff because I enjoy it and it is also my job. 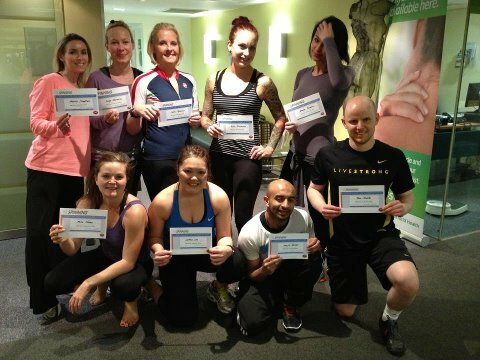 Another great thing from the course was that most of those attending weren’t even fitness professionals. They were those with normal office or desk jobs who had a passion for fitness and spin and wanted to do this course in order to help themselves do better in their own classes and to also keep alive that dream of working in the fitness industry one day. I have also had the opportunity to teach a class today in my new style and I look forward to developing these skills in future weeks. I have some really good ideas planned. Big shout out also to my Master Instructor Sandro Morelli who is an encyclopaedia of knowledge and a great inspiration. This is a much belated article and a follow-up to a couple of posts from 2012 when I experimented with two different types of regular trainers. Since then I have invested in some proper cycling shoes and have never looked back. I am much less susceptible to injury and I am able to exert myself a lot more effectively and get more bang for my buck in every class. The purpose behind these is to be able to strike the pedal with something firm and solid. I always use the analogy of hitting a nail with a hammer rather than a cushion. Your foot is soft and malleable so striking a pedal with it causes an overwhelming amount of stress on your calf muscles in proportion to the rest of your leg muscles. If you are sitting now just push the ball of one foot into the ground as hard as possible and feel how the outside of your calf is contracted. The rigid sole of the cycling shoe will limit this force so that you have a better distribution of load around the lower body. So even if you are not so fussed about performance, from an injury prevention point of view cycling shoes are an essential investment. 1. ‘I don’t want to be the odd one out.’ I have taught classes in both commercial gyms and corporate gyms. My experience is that in the corporate gyms a greater proportion of people are wearing cycling shoes so it is almost the norm. The key thing is to not worry about it and do what you know is right. People in London seem very unwilling to try something different…ramble over. 2. ‘I’m scared I won’t know how to use them’. Simple solution is to find your favourite instructor and ask them to help you. I’m sure they will be more than willing to help out. Of course, you will have to take the bold step of talking to them (something else that is hard for Londoners…OK I’ll stop). Glad I got this post out the way as I will tomorrow attend the official two-day spinning course after freestyling it for two years. So 14 hours of study including at least four classes are ahead of me, let’s hope I come out alive so I can share my thoughts. Now don’t get me wrong, I am almost a Poliquin worshipper and this is a great research-based article. However, bodytypes play a big part and yes for certain people these points ring true. Truth is, I have seen people who have done nothing all their lives but cardio and endurance training and they look fantastic for thier age. So I have started this feature on spinnning as its popularity continues to grow and so it should. Even the big musclemen are getting involved. What better way is there to do cardio? Yes, I do have good taste 😉 A pointy toe allows one to concentrate the force in the forefoot area. The second thing I looked for was a thin sole; I felt that a thick sole from regular sneakers just doesn’t give me that feeling of contact with the pedals. There is also the theory that a thick sole allows energy to get lost and dissipated which may lead to early fatigue (it’s just a theory). 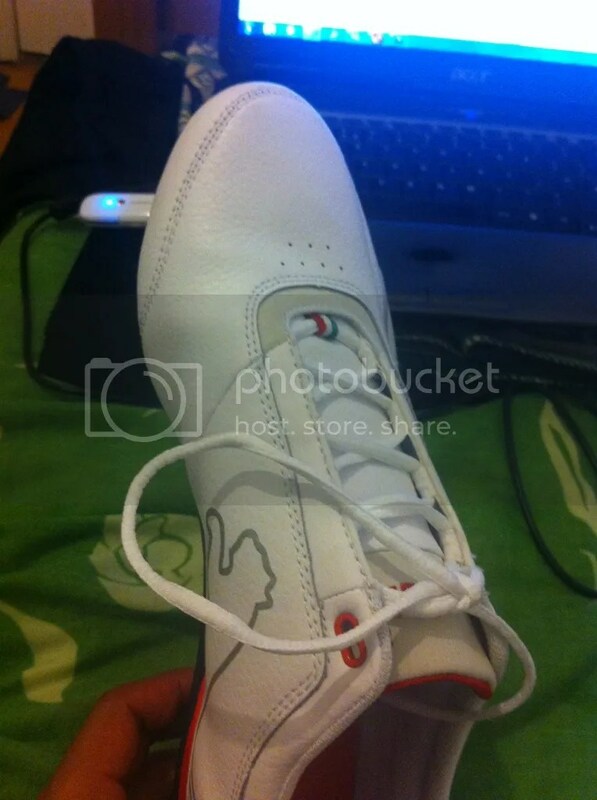 Finally I looked for something light and these are superlight and light means breathable feet. However, light means flimsy and this is where a debate arises. I actually prefer flimsy so that my toes can still curl up. 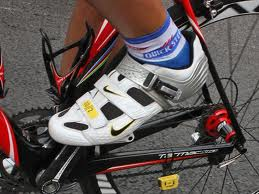 Cycling shoes are rigid on the premise that this will give better support to the foot. I had a little debate on this issue with my colleague Tom Joka and felt funny about trying to go toe-to-toe against someone with a phD, who recently cycled from Poland to London!! Still, I teach 5 classes a week and with an intense collection of sprints and climbs I believe that if my feet are kept too rigid for so long and so often my lower legs will not like it and could result in calf strains or ankle sprains (again my opinion). I have the tightest calfs in the world yet no problems thus far, touch wood, and I always go for flimsy and floppy. In any case, it is hard to find light and rigid unless it is a proper cycling shoe. Best thing though, I can wear these trainers casually too so there’s a lighter gym bag, hooray. Look out for more posts about spinning but if you haven’t already, join the spin revolution. Read my next post ‘Choosing the wrong footwear in spinning’ where I explain how choosing the pumas was totally the wrong choice. Rigid footwear is what we want not flimsy.